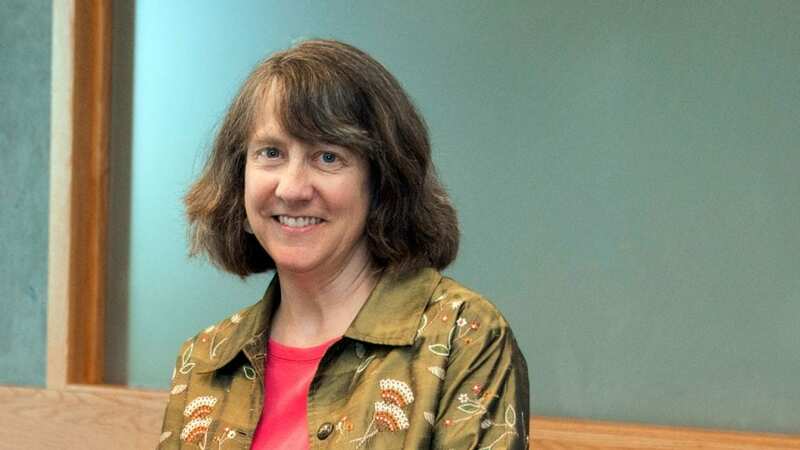 Dr. Margaret K. (Meg) Tivey has been selected as the next Vice President and Dean for Academic Programs at Woods Hole Oceanographic Institution (WHOI). Tivey will oversee all academic programs at WHOI, which include the MIT-WHOI Joint Program (JP) in Oceanography/Applied Ocean Science & Engineering for graduate students, postdoctoral and undergraduate programs, the graduate-level Geophysical Fluid Dynamics Program, and will serve as the WHOI point of contact for the Marine Biological Laboratory-Woods Hole Oceanographic Institution Library. Tivey has served since August 2010 as Associate Dean of Academic Programs and will transition to dean on Nov. 1, 2017. WHOI is accredited by the New England Association of Schools and Colleges and awards graduate degrees jointly with MIT through the MIT/WHOI Joint Program. Created in 1968 when two eminent scientific institutions joined forces, the MIT/WHOI Joint Program is among the most respected oceanography and ocean engineering graduate programs in the nation. In the program’s most recent 10-year accreditation in 2014, the evaluation committee reported: “JP students do excellent, often world-class work. The theses of JP students are among the finest produced in the country. The JP is a national asset without which the ocean sciences in the world would be diminished.” In 2016, the program conferred its 1000th degree. It also offers a master’s degree program for U.S. Naval officers, earned by more than 80 officers to date. In addition, WHOI academic programs operates postdoctoral and undergraduate programs. WHOI hosts 40 or more postdoctoral researchers who work closely with the scientific staff, making significant contributions to Earth and ocean science and engineering. Undergraduate programs at WHOI include the Summer Student Fellowship program, which brings bright, talented students to Woods Hole to learn more about ocean science, attend lectures by Woods Hole scientists, and conduct independent research working alongside world-class scientists. The Semester at WHOI (SAW) program is offered in the fall semester for advanced undergraduates (juniors or seniors) majoring in science, engineering or mathematics. WHOI also hosts the Geophysical Fluid Dynamics Program, a ten-week research and study program that brings together eight to ten competitively selected graduate students with researchers from a variety of backgrounds, providing an intense research experience spanning different disciplines. Tivey has spent her career at WHOI. She earned a B.S. degree with distinction in geology at Stanford University (1980), and M.S. (1983) and Ph.D. (1989) degrees in geological oceanography at the University of Washington. She came to WHOI as a postdoctoral scholar in 1989 and was hired as an Assistant Scientist in the Department of Marine Chemistry & Geochemistry in 1990. She is now a Senior Scientist. Tivey’s research is focused on seafloor hydrothermal systems. She studies active vents throughout the world, using human-occupied submersibles and remotely operated vehicles to access the vent sites. Her research combines laboratory, theoretical, and field studies to examine the formation of seafloor vent deposits and the transfer of energy and mass through active hydrothermal systems. She has authored or co-authored 70 scientific papers, including several for general audiences. She was a National Science Foundation (NSF) Ridge2000 Distinguished Lecturer in 2004 and the American Geophysical Union Ocean Sciences Section Rachel Carson Lecturer in 2005. She has served on many committees related to deep-submergence at WHOI and within the NSF RIDGE Program. She was a steering committee member of NSF RIDGE from 1992 to 1995, the NSF RIDGE Endeavour Observatory Coordinator from 1996 to 2002, and a co-chair (with Oscar Schofield) of the Ocean Ridge Interactive Observatory Networks Workshop in 2004, which was the open community workshop for the Ocean Observatories Initiative. She served as Director of the Deep Ocean Exploration Institute at WHOI from 2008 to 2010. Tivey has been involved in education activities at WHOI since 1990. As a scientist with interests that span several departments, she has served as advisor, sponsor, or committee member of students and postdocs in multiple disciplines and departments, and has been heavily involved in the administration of WHOI’s educational programs. She served as chair of the Joint Committee for Chemical Oceanography from 1999 to 2002, held the Johnson Chair in Oceanography (education coordinator for the MC&G Department) from 2004 through 2008, and was awarded WHOI’s Arnold B. Arons Award for Excellence in Teaching, Advising, and Mentoring.